You'll be £19.99 closer to your next £10.00 credit when you purchase The Lines of Torres Vedras. What's this? In 1809 French armies controlled almost every province of Spain and only Wellington's small force in Portugal stood between Napoleon and the conquest of Iberia. The French invaded Portugal in the summer of 1810 but found their way blocked by the most extensive field fortifications the world had ever seen – the Lines of Torres Vedras. Unable to penetrate the Lines, the French were driven back into Spain having suffered the heaviest defeat yet experienced by Napoleon's armies. The retreat from Portugal marked the turning point in the Peninsular War and, from the security of the Lines, Wellington was able to mount the offensive campaigns that swept France's Imperial armies back across the Pyrenees. 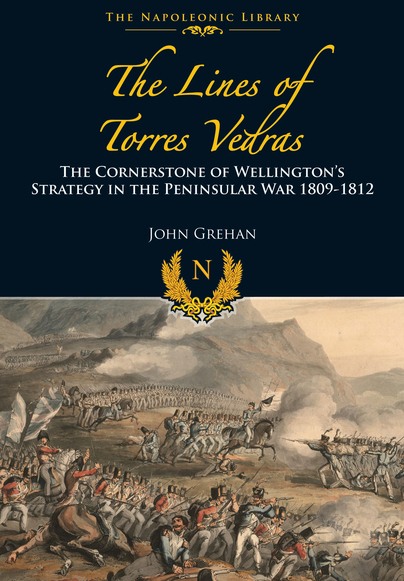 The Lines of Torres Vedras is an authoritative account of the planning, construction and occupation of the Lines and of the battles, sieges and horrors of the French invasion. It is also an important study of Wellington's strategy during the crucial years of the war against Napoleon. The book is an excellent campaign study of the events that had such a profound impact on the Peninsular War. It is not surprising that this is the second time it has been reprinted since 2000. Recommended.